IrokoX, a Multi-Platform Network (MPN) that will house digital content made by Africans has been launched by iROKO. 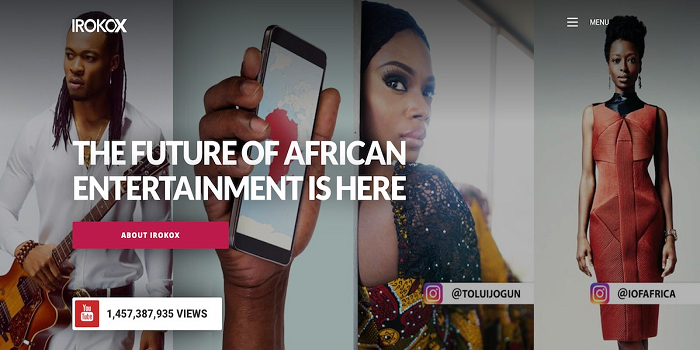 IrokoX, which is a cross-media MPN is set to provide Africa’s digital content creators the opportunity to show their work on global partner networks such as Youtube, iTunes, and Google Play. IrokoX also provides Africa’s creative set a platform to digitally monetize their 3-5 minute video shorts. The global consumer brands are increasingly looking to connect with Africa’s youth population who are mobile-first and a consumer savvy generation driving the growth of modern African retail. The new MPN will be a “gateway for consumer brands to connect with audiences in exciting ways through the influencers aggregated on the IrokoX network”. With Nollyland “Netflix Of Nigeria” hold on the Nigeria movie and TV shows streaming service and Tammah’s focus on fixing African narrative problem, iROKO’s IrokoX, backed by $35 million in funding from investors such as Kinnevik and Tiger Global, founded by Nigerian entrepreneur Jason Njoku in 2010, couldn’t have launched at a more better time. IrokoX will be a music and content distribution platform for established producers. Using Iroko’s in-house production, the team is expected to provide content production and promotion, programming and branded sponsorship campaigns. The (selected) creators will be able to use the infrastructure for free, and Iroko will apply the big D (Distribution), generate ad revenue, sell the content on platforms like iTunes and Spotify and give 80% of it to the creators. 80% content owner. 20% iroko | https://t.co/PMyXAmu9h2 | we monetise short form audio and video content. Africa’s youth population is expected to grow to 321m by 2030, and these people will consume most of their content scrolling through feeds on mobile. Big brands no longer have one centralised player through whom they can reach audiences (since the internet has done a lot of disintermediation) like they used to do when TV was a thing. Last year, they paid out more than N200 million to content creators and again, the team is searching for creative and influential personalities across all social media channels, who want to share their digital contents online to help scale the viewership on their videos. IrokoX will operate from iROKO’s offices in Lagos, London, and New York. Applications are now currently welcome and interested digital content creators can send their social media handle or link to their YouTube page to [email protected].